Open at 10 am on home football game days! 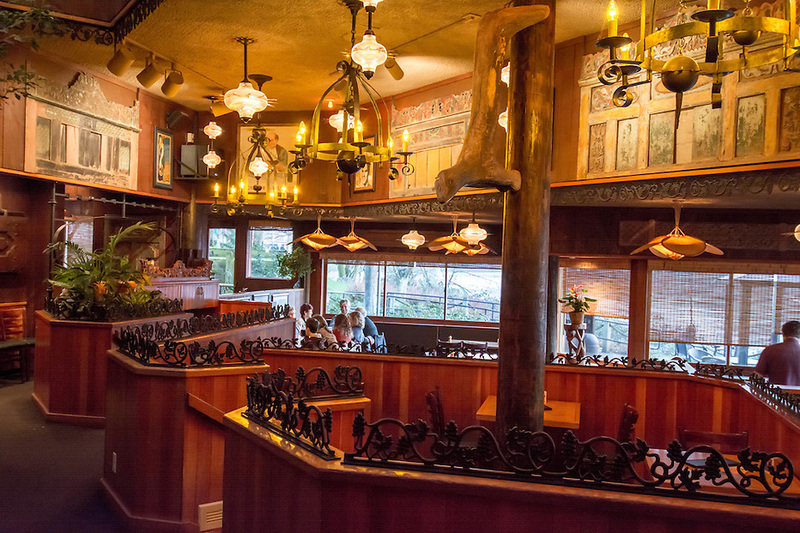 This comfy, wood-built pub is an ideal place to sip a beer on a sunny day — or a rainy one. 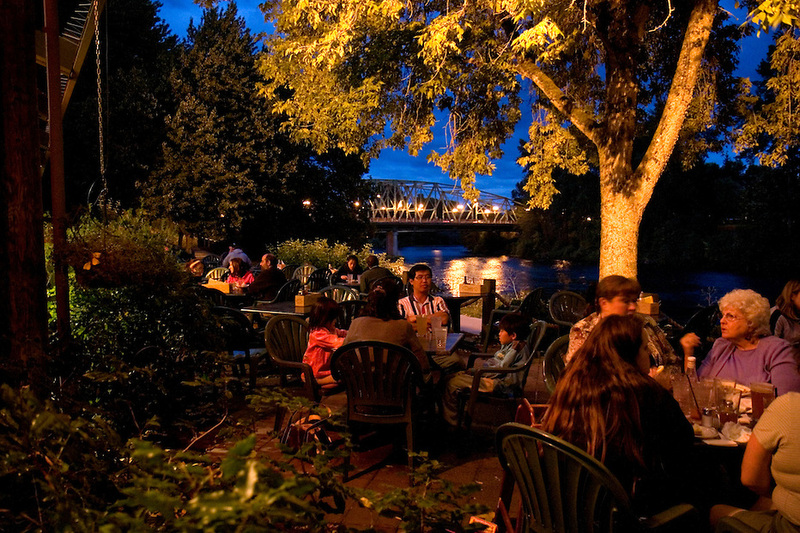 Overlooking one of the most serene stretches of the Willamette River, the North Bank's tiered inside seating and outside deck provide a beautiful, panoramic view, pairing perfectly with a cool pint. Originally built as the North Bank Restaurant in 1979, this point in the Willamette River was chosen 150 years ago for a crossing known as Skinner's Ferry. 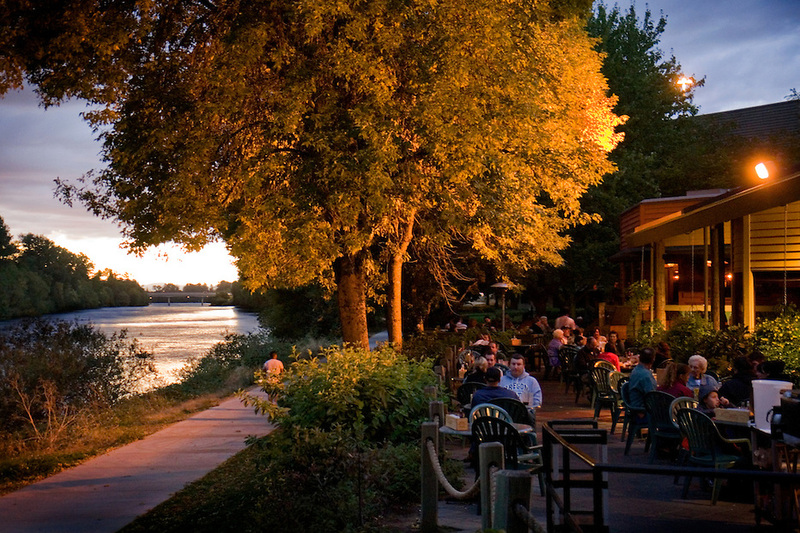 Our location provides a great spot to watch televised games – or turn your head away from the tube and watch the leaves falling on the river as boaters and bikers pass by. Here at North Bank, menu selections are based on items from local and regional growers and producers (including Tillamook Cheese and Ice Cream, Pleasant Valley Pickles, Sheridan Fruit Company, Country Natural Beef and many others) in order to serve fresh pub fare. 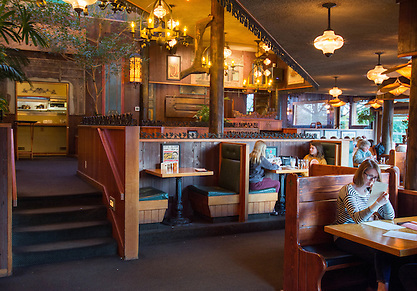 Try our house-made soups, salads and sandwiches. Gluten-free buns available! These light, crisp, locally made products are available for an additional charge with hamburgers and sandwiches - just ask your server. Please note: Although the bun is gluten-free, our kitchens are not. Our ‘Mutton Room’ comfortably seats up to 30 people, we just ask that you make a reservation in advance for your group. 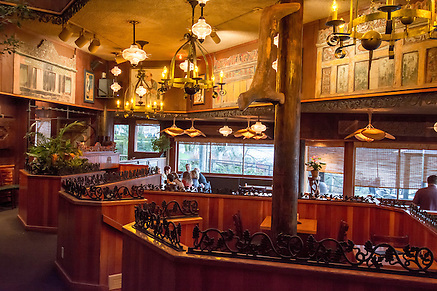 This space is ideal to gather and enjoy food and handcrafted beverages from the standard pub menu. If it’s a popular night, other smaller groups may be seated in this space as well. 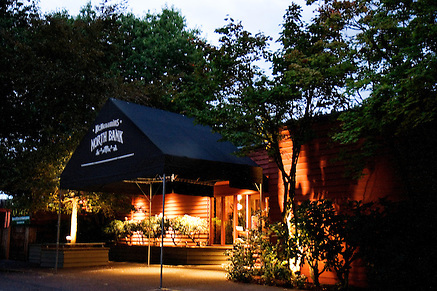 The North Bank Pub dates only to the late 1970s, but its location has links all the way back to Eugene's earliest days. The pub stands along a lazy stretch of the Willamette River where in the 1850s, a ferry crossing was established by Eugene's founder, Eugene Skinner. Skinner's land claim on the opposite side of the Willamette evolved into Downtown Eugene. By the 1880s, Skinner's Ferry had given way to the more permanent Ferry Street Bridge, which today crosses the river at virtually the same location. From the late 1800s through the mid 1900s, the land now occupied by the pub and its neighbors, was used almost exclusively for agricultural purposes — a leading hop farm, cattle grazing, and vegetable cultivation. That's not to say developers didn't have an eye on the riverside land. In 1901, devoted angler and former Eugene mayor, J. H. McClung, platted the area as the Linton subdivision, but development came slow and sporadically. Early on, the Eugene Country Club was created on the back portion of McClung's subdivision, but many of the water's edge lots remained agricultural for decades to come. In 1979, The North Bank Pub became one of the first buildings constructed along this stretch of the Willamette. John Costello opened the restaurant in April of that year with riverside dining and live jazz by Eugene legend Emitt Williams and others. 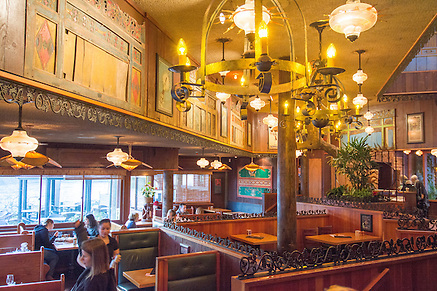 After a successful 21-year run, Costello handed over the torch to McMenamins, who reopened the North Bank on May 10, 2000.